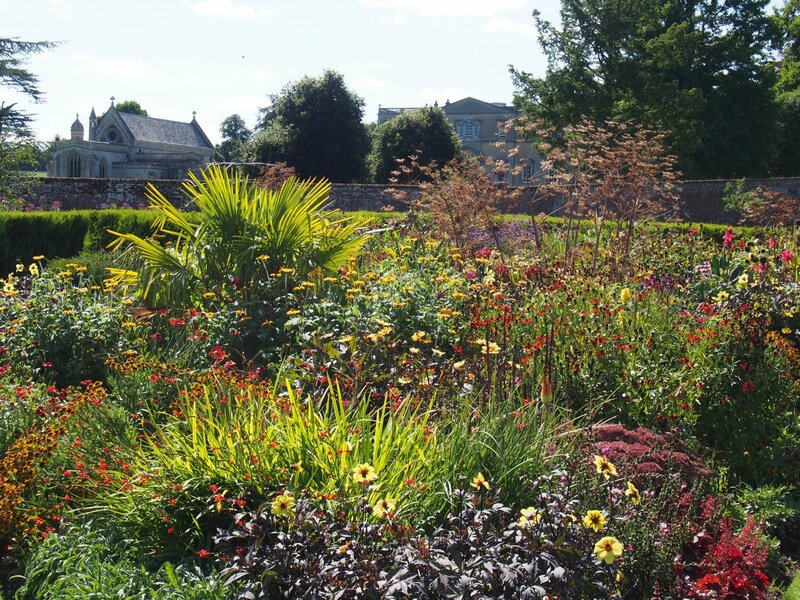 60 acre park, 30 acre lake and 3 acre walled garden surrounding Crichel House. Mature trees including exceptional cedars form the backdrop to the Walled Garden which was set out in 1976 and recently renovated. 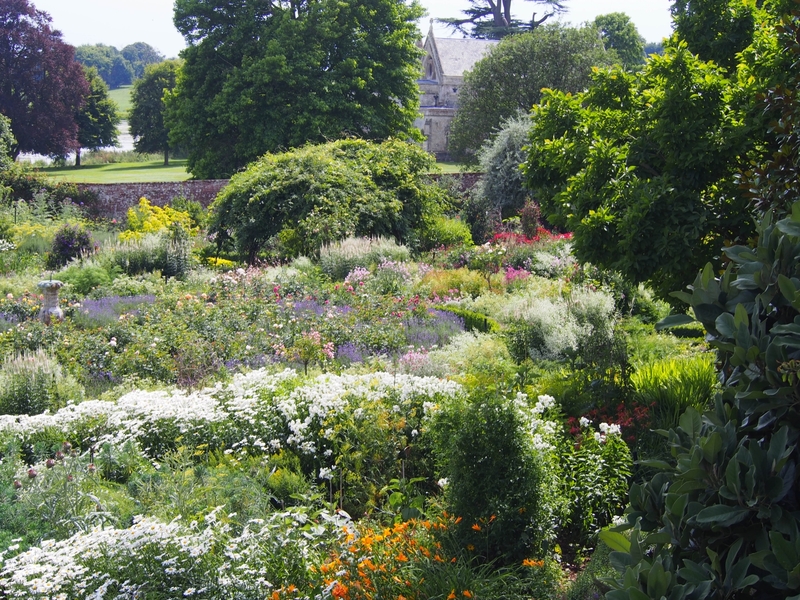 Box hedges and paths lead into herbaceous borders. Lime avenue flanked by orchards and tulips leads to reflecting pond completed by a stone pavilion and 7 individual secret gardens. 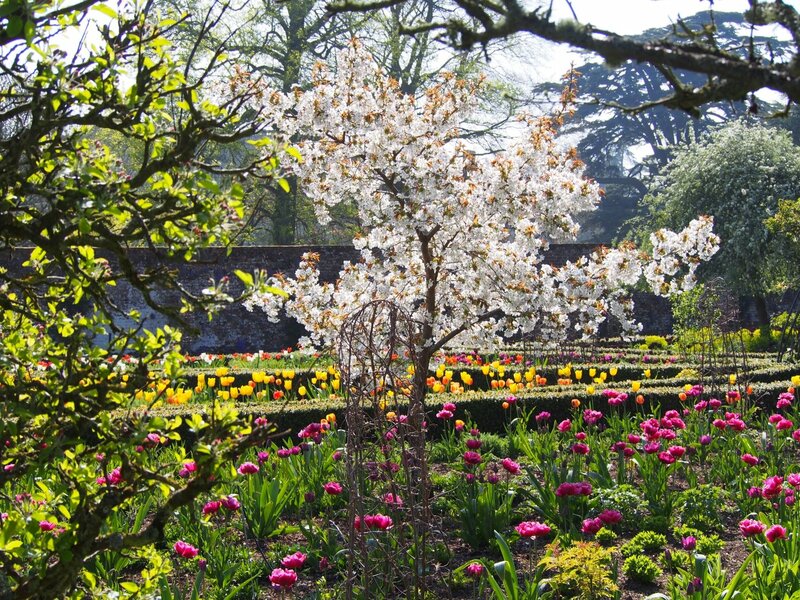 Mature trees, including exceptional cedars form the backdrop to the historic 3 acre Walled Garden which was set out in 1976 and recently renovated. Box hedges and paths meander into colour coordinated herbaceous borders surrounding a central rose collection. 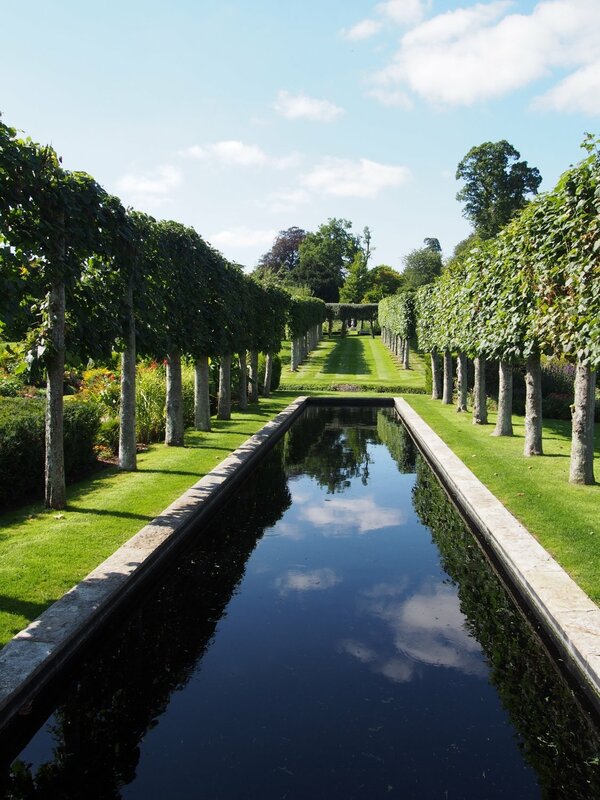 A lime avenue flanked by orchards and tulips leads to a reflecting pond. This area is completed by a stone pavilion and seven individual themed secret gardens which include sub tropical, fragrant, blue and white, tapestry and pastel. Partial wheelchair access. Most of garden can be reached by grass pathways.